David said to the Philistine, “You come against me with sword and spear and javelin, but I come against you in the name of the Lord Almighty, the God of the armies of Israel, whom you have defied. Giants - what are they? Could they be- Fear? What ifs? Doubt? Is there something the Lord is asking of you and maybe you're afraid to step out and do? Did God open a door for you and you took a step but then turned back to your comfort zone? What dream or vision has God placed in your heart that when it comes to pass, you'll move into it and not look back? Recently, someone we know was offered what they thought was a job doing what they love in a location that was everything they had always prayed for. A dream come true! But when they got there, they came upon some giants (some things that weren't comfortable for them). They ended up turning around and coming back to the place they knew. They walked away from what could of been their Ephesians 3:20 dream! In no way am I wanting to bring condemnation or guilt on this person. I admire that they were willing to try. It was a huge leap of faith! Bravo!!!! I share it with you because, God has been teaching us how to overcome some of the giants before we ever enter into the land He wants us to possess. Here are 3 ways to slay those giants! 1. Pray - ever since God has shown us this vision for Sonlit Fields, we have created a prayer point list. When we moved to Eldo, we had no understanding of the impact "territorial spirits" would have on us. Possessing the promises of God is definitely a spiritual battle! Prayer is vital - proactive, intentional prayer. Ask the Lord how to pray against the "giants" you will encounter. 2. Get in the Word - Speak the Word - Pray the Word - the more you dive into God's Word, the greater the Truths become embedded into your spirit. God will give you specific Scripture promises that you can apply to your land of giants and overcome. His Word goes out and does not return void - Isaiah 55. 3. Believe - you must believe that the Lord is with you, He won't forsake you and He will help you overcome. You have to believe in things unseen. There are so many "friendly fire" giants you will encounter that can talk you right out of your destiny. There are many critics or naysayers that just can't understand what God may ask of you. Separate yourselves from them if necessary. Align yourself with those who will support you even if they don't understand. You need people who will encourage you and strengthen you and cheerlead you on! As I was sitting with the Lord this morning, I heard Him say - I, the LORD will make it happen. He then led me to this passage. I sense that many of us are about to step into the land the Lord has shown us. We've been contending, decreeing & believing....and many are stuck in hope deferred. God will bring those promises to pass. It will be a longing fulfilled. It will be exceedingly greater than you could ever hope or imagine. The Lord says be patient My Child. I am lining things in your favor. It takes time to move hearts & shift things. I will not fail you nor disappoint. Put your hope in Me. What seems like DELAY is not....God is going before you to slay some of the giants.....and He has equipped you - already prepared you to slay the remaining giants as you possess the land. He says, do not be afraid of the giants. I the Lord have given you all you need to conquer & possess. Focus on Me, trust that I have good for you. Jeremiah 29:11 For I know the plans I have for you,” declares the LORD, “plans to prosper you and not to harm you, plans to give you hope and a future. Be EXPECTANT and full of HOPE......and when you LEAST expect it, HE WILL MAKE IT HAPPEN! Me - Ouch, today I tripped & fell and landed on my already painful hip! Ugh! Please pray for complete healing in my body! Ken - Pray for God's wisdom and favor... and peace as he is the one who handles our finances. We know God is faithful to provide, but it isn't easy walking faith for finances out! Ministry - please pray that doors would begin to open and provision to fund the vision would come forth. We feel there may be some momentum recently and are trusting God! Canyon - I started giving him Tumeric pills and he actually seems to be doing a bit better. Knowing that eventually his time with us will be ending. He is 15 1/2 years old - lifespan for his breed is 10-12. Wow! Thank you Lord! And Thank YOU to those who email me prayer requests. I really am blessed to be able to have the time to do that for you! Has God ever asked you to do something that you were quite reluctant to do? Are you one (like me) to ask a bazillion questions before you finally surrender and just obey? What if God asked you something to do that downright embarrassing, maybe even humiliating? Would you do it? Well, that's what this blog is about. A couple days ago, I felt the Lord wanted me to list all my health issues. Yep, that's right. Like you're really excited to read about that. I don't know why He's asked this of me, except just maybe He wants to show us all what He's capable of when He does decide to heal me! I don't know! That's just a guess. Before I do, I want to share a devotional that I just read on April 20th from Streams in the Desert. This devotional book, I swear (ok you shouldn't swear) has been speaking to me almost every single day this year! Quite amazing how God works that out! This specific one, has really spoken to me where I believe God has been leading me for quite some time. Not by might, nor by power, but by my spirit, saith Jehovah of hosts (Zech. 4:6). My way led up a hill, and right at the foot I saw a boy on a bicycle. He was pedalling up hill against the wind, and evidently found it a tremendously hard work. Just as he was working most strenuously and doing his best painfully, there came a trolley car going in the same direction--up the hill. "Why, I am like that boy on the bicycle in my weariness and weakness. I am pedalling up hill against all kinds of opposition, and am almost worn out with the task. But here at hand is a great available power, the strength of the Lord Jesus. "I have only to get in touch with Him and to maintain communication with Him, though it may be only one little finger of faith, and that will be enough to make His power mine for the doing of this bit of service that just now seems too much for me." And I was helped to dismiss my weariness and to realize this truth. Utterly abandoned to the Holy Ghost! Of His mighty power--strong to save and keep. Oh! the sinking, sinking, until self is lost! Waiting till His filling shall make the work complete. Waiting for His guidance, listening for His voice. Having nothing, yet in Him all things possessing still. Free from every worry, burden, grief or care. Who my inmost being shall perfectly refine. Lo! He comes and fills me, Holy Spirit sweet! 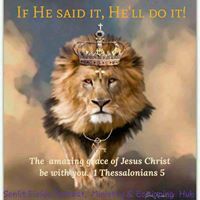 I, in Him, am satisfied! I, in Him, complete! While I keep my covenant--abandoned unto Him! I'll quit stalling now... and list what I feel God is asking. I know that my obedience will bring blessings! These are all daily unless listed otherwise. Oh and I haven't had any health insurance since 2012. I'm not on disability as they say I don't qualify. Migraines - have had daily for 30 years but in the last year have seen much relief. Now only a few a month. Unexplained pain - both legs, both feet top & bottom, both calves, upper back, neck, wrists, forearms, hands/fingers, occasional sharp pain in my ears. Shoulder pain. Pain in my upper thighs, probably because I don't walk normal. Pain - adrenals & liver when I take Excedrin, kidney pain - sharp spams, low back from degenerating discs, tailbone from where I fell on ice, right knee - only 90 degree range of motion, constant pain from three knee surgeries. I'm not able to walk very far - grocery stores are almost too much. Sciatica pain down both legs - and IT Band pain - it's the muscle next to the sciatica. This hurts relentlessly. It is so hard to sit and be comfortable. I squirm a lot! Long before I became a Christian, I chose not to take prescribed painkillers or narcotics. I think that was God. I would of become addicted too easily. Sinus Pressure, though improved with daily honey ginger syrup we make. Dry hacking cough every morning. Swelling in Lymph Nodes & small bumps under arms. This worries me! Sleep deprivation - 2004-2014 was around 4 hours a night only... since we moved to Eldo, it's worsened to average 2 hours a night. I do occasionally get a night or two of decent sleep, but not consistent. Itchy scalp - no idea why... noticed after many steroid injections in the 90s? Hair loss like you wouldn't believe! Sometimes I get handfuls when I shampoo. Adrenals - Fatigued - Previously Diagnosed with Cushing Disease from excessive steroids given to me for pain management. Almost at deaths door. Chronic fatigue, limited energy, brain fog (that's improving), limited ability to read (thats improving). Limited Energy. The endocrinologist I saw had not successfully treated anyone who has had over 100 steroid injections. She said that no one should have more than maybe 10 in a lifetime! She was surprised I was alive! But by God's grace He has been sustaining me! NAFLD - non -alcoholic fatty liver disease - from excedrin & steroid use. I feel that this may be being reversed with all the good natural things I'm doing. Stomach is much improved after years and years of probiotics, kefir & Kombucha. But occasionally still have an issue. Renal Artery Stenosis - narrowing of renal arteries going into kidney's. maybe caused by excedrin use for migraines... this triggers blood pressure spikes 220/130.... but getting this under control with both natural and rx. Torment - the enemy torments me in my mind on a regular basis. Tells me I'm going to die or I have cancer, or whatever. I just found out recently that several others, I know experience this. It is HELL! (Can I say hell? Well, I did) Yes, I renew my mind in the Word! It's just an attack to try and get me to agree with the plans of Satan. NO MORE!!!!!!!!!! I have renounced all agreement. Fear and Anxiety - try to take over often....but again I use the Word!!! Oh there's probably more I could list, but thankfully I can't think of them! Ha! And I know and realize there are so many others who are way worse off than me. This is in no way a comparison to anyone. 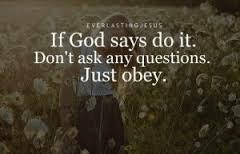 Just being obedient to what I felt the Lord asked of me. Today on Facebook, the post below really spoke to me. As I read it, I said, Lord let this be me, please. About an hour after I read this and shared the post, somebody who doesn't even know me (in a few of the same Facebook groups), sent this to me through Messenger and said "I definitely knew this was YOUR WORD and Yes, it will manifest SOON/SPEEDILY! I decree it in Jesus Name, Amen..."
I see a woman standing on the promises, waiting on God. She stands believing, long after she has strength to understand. She is past weariness, yet still she stands. She will not give up on His promises to her, no matter how long she has to wait. I hear the Father demand that the enemy give up his hold, give up his place, give up his stand against her, and loosen his grip. I hear the enemy grind his teeth. he is angry, but he will obey. Someone your breakthrough is very near. Your time has come to see victory. You will have what was promised to you. You will not be made to look like a fool! They Lord will see to it that you are not disappointed, that your faith in Him will be rewarded. As you waited you grew in a very special faith. You have two blessings instead of just one. First your breakthrough, and second, great faith. For as you wait on the Lord, you choose Him above all else. You choose Him over what you feel, what you see, and over every temptation, and all your fears. You are walking by faith, and that is how you receive. You also received your freedom, for your faith is in Him! Often when you have chronic illness and pain, everybody has there answer to getting you well. Some tell you that you're in sin or you need to forgive or if you take this product I sell, it will heal you. I even had a lady tell me since I wasn't taking her protocol and spending $100's of dollars a month on the supplements she recommended, is why I won't EVER get my healing. Ouch! I believe in taking great supplements and eating right & exercising (when I can). I also believe the importance of forgiving and turning from sin. Those are all very much apart of one's healing. There are times that God waits to bring healing, so it will glorify Him. Several years ago I had prayed and asked God "what more can I do to get my healing" And He said nothing...there is nothing you can do. Wait on Me. That very word got confirmed by Tony Kemp who was ministering at a local church. He called me out, and when I went up for prayer (everyone he had prayed for that night got healed...and most of the audience was excited and thought I'd get my healing too)...... when I got up there, He said, "the Lord says "there is nothing you can do to get your healing. Your healing will come when God says so....and don't let anyone tell you, you don't have enough faith, because you lady, do!" I know that my healing will come. I don't know when...but I am expectant and hopeful. I will admit there are times when I fall into deep despair. The pain, the suffering can be overwhelming. This is when I reach out for prayer....and cling to Scriptures like these. I remain confident of this: I will see the goodness of the Lord in the land of the living. deep down in your spirit, there is much hope that comes. Would you please continue to believe for my complete healing. Would you agree with me that it will come soon! In order for me/us to walk in what God is calling us to do (and that vision, we believe will come to pass soon as well), I need to be HEALED!!!!! 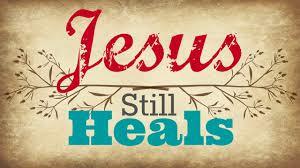 I know His grace is sufficient and He has brought me this far.....but I believe HEALING is coming! I'm so appreciative of ALL that pray for me regularly! It means more than words can say! I am posting today a copy of our friend Joey LeTourneau's recent article on the Elijah List. (using with permission). As most of you know Ken and I have been believing God for sometime to bring forth provision for the vision of building a retreat property and equipping hub. God has been giving us some very specific information in the past few months and soon (we believe) things are going to shift. This article Joey wrote is so encouraging and confirming to us. This is so speaking to the things God has been showing us. I believe for you who are contending and believing God for something, this will also encourage you. God is Giving Houses and Lands for Refuge"
When my family and I moved back to California in 2014, it was with an eye towards Israel and some of our long-term calling there. Shortly after moving back the Lord showed us why He called us to move back. He offered us a vision of a "bridge" that spanned between California and Israel. God has continued to show us the vision of this bridge. Not a literal bridge, this "bridge" is meant to be constructed uniquely, lifting people up higher. It's intended to be made up of "refuge-like" properties and lands that God's sons and daughters have been in and are now taking for the Kingdom.They are hot spots on a map, strategically placed, set apart, and are preparation grounds for many that God is raising up between California and Israel—with the intention of rebuilding God's family. We personally have been contending for such a bridge over the years but it was not until the last number of months we felt a release from the Lord to pursue and possess the vision and to help others by faith do the same. "These places will be needed for God's sons and daughters to "get above the cloud line" more often." This passage was highlighted to me after I had a special encounter. I had the encounter the night after my family and I committed to a specific part the journey of "rebuilding God's house and family". Early in the morning, in one of the most vivid dreams I've ever had, I was awakened to a knock at our door. When I answered, there was an Italian looking man approximately in his sixties who said, "My name is Angelo, I'm your angel and this is one of the happiest days of my life." He then handed me a lavender ring-sized gift box with white ribbon before he disappeared. I carefully opened the box and wondered if it was a ring, or what was possibly in such a package. I unfolded the white tissue paper and discovered a single, silver house key. Now, you have to understand that for us personally, we are waiting for the right house and property ourselves as we contend to position and align with where the Father wants us to build with Him. So, a house key would be an awesome personal gift and breakthrough! However, I knew in the dream that Angelo's very intentional happiness in presenting this key wasn't just for our personal breakthrough, but even more for what was being released for this time and the re-building of God's big picture house and family. It can sound contradictory to imagine a place that is a refuge, like the shadow of His wings, and yet also for the same place to be a city on a hill that should not be hidden. But we live in a Kingdom that holds these types of beautiful truths in tension with one another. God is raising up existing and new lands that will powerfully embody both at the same time. These places of refuge, lands of resources and "hot spots" of God's family, are places where the Body of Christ will go to be re-calibrated and refreshed. They are off the beaten path and will allow Believers to "come up higher" out of the task they are engaged with, re-calibrate, and go back into their calling IN the world with renewed vigor and alignment with peace and purpose to give. At the same time these places of refuge will also serve as a "City on a Hill," where weary wanderers of the world will find living water, the bread of life, and the contrasting light they've been searching for. As Jesus often did, there is something powerful to going away consistently to re-calibrate—and not just in the midst of daily rigors or taking a summit once or twice a year. These places will be needed for God's sons and daughters to "get above the cloud line" more often. These places will be like watering holes and apostolic hubs that live and walk in Acts 4-like community atmosphere— coming and going to and from all aspects of life and coming from all over the world. They are not program centric but people and presence focused. Watch as these sort of places and relationships come together. Many are already stepping into these lands, many have dreamt of such, and many others will soon join. How Do We Possess and Build These Lands? The notes in the New Spirit-Filled Life Bible state this about Zerubbabel as a re-builder of God's house: "Zerubbabel is ultimately responsible for rebuilding the temple, but he is forbidden to trust the resources of man to accomplish this task. So today God's holy temple, the Church, must be built and sustained, not by wealth, by members, by virtue, nor by sheer strength, but 'by My Spirit.'" We are not apprehending these places and lands by human means, wealth or strength, but by the authority of His Spirit. So don't be discouraged if you don't seem to have the means yet, just keep following Him with faith and obedience and step into the land that He is or will show you. The process you have endured and persevered through these past seasons may have left you feeling depleted in the natural of tangible resources for building, but God has seasoned and strengthened you with the same kinds of intangible resources that Zerubbabel was charged with trusting in and building through. These intangible resources come alive through the process we've each just endured. The challenging circumstances you are emerging from have actually profited you the very resources you would need to take ground and build up His family in this present time. Recently we were driving into the territory God had told us to contend for, asking Him to show us His strategies to possess the land. During our drive the Lord brought this passage of Numbers 14:8 to heart and we started to declare it as we drove, "If the Lord delights in us, then He will bring us into this land and give it to us." Moments later, a close friend messaged me not knowing the promise God had given us to declare that day. His message said, "Bro, the Lord is delighting in you!" The only "if" written in this promise is the Lord's delight, and God wants to remind us how delighted He as when we step out in faith with Him. The delight of the Lord paves the way to promises realized. So as you look at the land before you which He is speaking about, remember His delight over you is one of your most precious and powerful weapons. A Testimony of Simple Faith - "We Ask You God for a House"
Our family has gotten to be part of a number of miraculous testimonies with houses and lands over the years, and to be honest we are even contending for such now. But one testimony I've grown up hearing has always been highlighted. My mom and her siblings were young, their dad was about to pass away within days after being sick for eleven years, and my grandma was working tirelessly on multiple fronts. They had to be out of their house quickly and needed God to provide. One day, needing to search for a home but without time or money to do so, my grandma pulled over with kids in the car and simply said to the Lord, "You know I don't have time or money to find this new house, but You have promised to provide for us and we ask You God for a house." That very week the neighbor with a big house on a large lot across the street knocked on the door and said, "I was thinking and realized I don't need my house anymore, and you do. I want to give it to you and we can work out some form of compensation later down the line." Thereafter, the family and many friends literally formed something of an "assembly line" passing item after item across the street to move into their new home! That house became both a refuge and a beacon of light over the years for God's family. Long-term and short-term, it housed leaders, missionaries, those going through difficult seasons, as well as family and friends. The house was a miracle and then many more miracles happened there. It wasn't gained by man's ways or resources, but by simple faith in a good Father who loves to set up places for His family to be loved and empowered. Prayer Needs: Please continue to pray for us - Canyon is showing signs that we may need to put him down soon. My heart hurts. Pray for Ken - his hours have been cut again - just because management is hiring additional people. Please continue to pray for my complete healing! And thank you for standing with us for the dream God has given us! We are so thankful for you!! !